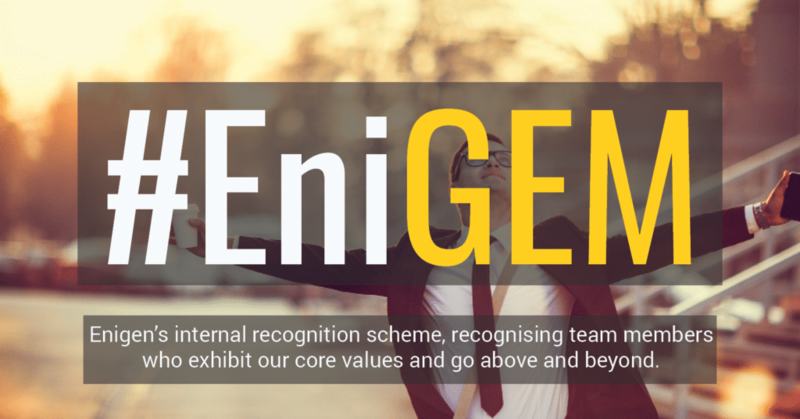 At Enigen we have a recognition scheme called EniGEMS. An #EniGEM is an employee that goes above and beyond, working in line with our values; Being Innovative; Acting with Integrity; Working Collaboratively; Delivering Quality; and Demonstrating Adaptability. Every quarter we ask our team to vote, and share with our Leadership team some great examples of collaboration, innovation, adaptability, quality and integrity in day-to-day working life among our colleagues. 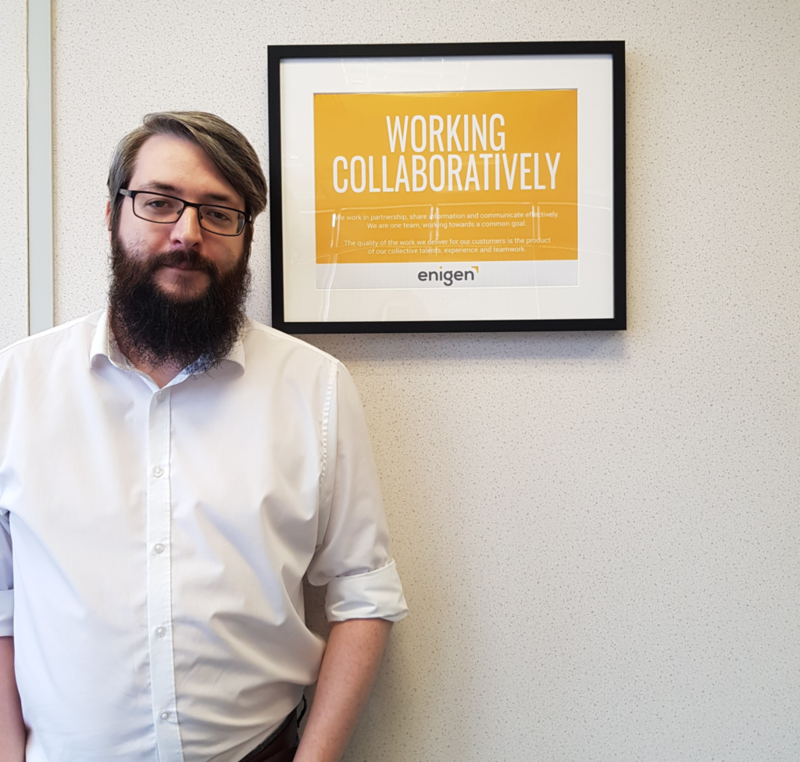 So we’re proud to announce the EniGEM of the quarter is our Solution Manager, Evan Bridges!